Disclosure: I received bar samples from Nature's Bakery for review. All opinions are my own. I am always on the hunt for different snacks for my family and since I love the flavor of figs, I was excited to try the all natural fig bars from Nature's Bakery. There are so many flavors that I couldn't decided which to start with! These bars are cholesterol-free, dairy free, kosher and all natural. Nature's Bakery offers their all natural fig bars in so many tempting flavors: blueberry, fig, raspberry, lemon, strawberry, mango and apple cinnamon. They come packaged 2 in each pack which is perfect for snacking on and sharing with friends. 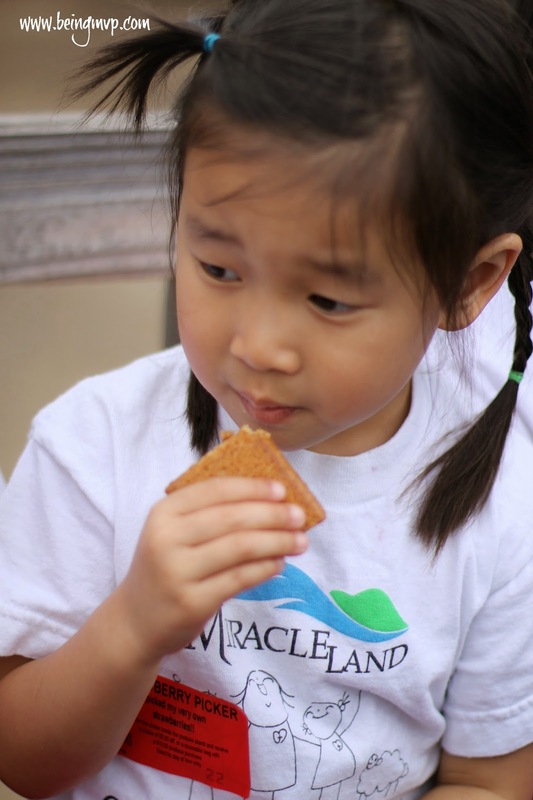 Kenzie and Mason love these moist and chewy bars. They are packed full of flavor and I can easily toss several into the diaper bag when we head out of the house. I even keep a stash at work so I can reach for them when I get hungry rather than chocolate or pastry. Good thing I brought several packages of the Nature's Bakery fig bars on Kenzie's field trip because who knew about 10 kids (that could see me opening the package) wanted a bite while we were on the wagon to go pick strawberries! They kept asking for more so I am guessing these were a hit with the preschoolers. Kenzie insisted that she get a big one and not a portioned one. Thumbs up from our family as a great go to snack. Connect with Nature's Bakery on Facebook and Twitter! One winner will Receive 5-Six Pack Boxes of 5 different flavors, Tshirt, Key chains and Stickers! I want to try the Blueberry the most. Usually I snack on cheddar cheese and crackers. I WOULD LOVE THE Peach Apricot THE BEST. Sorry I missed part two - I usually snack on potato chips. 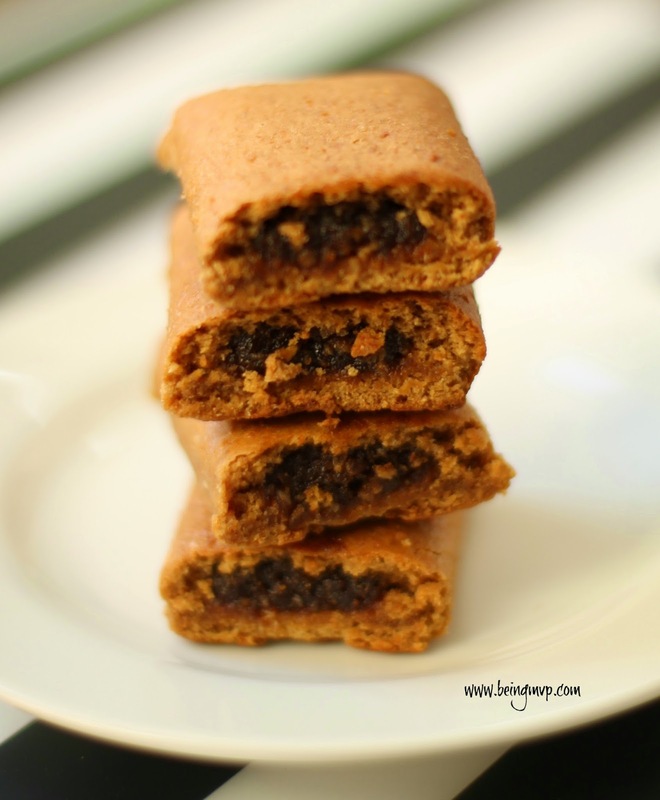 I would love to try the whole wheat fig bars. I usually snack on tortilla chips and salsa. I would like to try the Vanilla Raspberry. I like to snack on popcorn. I'd like to try the Mango. I love that they are gmo free certified. I snack on fresh organic fruit and nuts. I want to try the strawberry!! All of them sound delicious!! I am eating these right now at Home. They are so delicious, and my favorite flavor is Mango! I really want to try the Whole Wheat Fig! Normally I'll snack on string cheese or peanuts. I'd like to try the Raspberry :) I usually have Quaker Chewy Granola Bars to snack on. I think Blueberry fig newtons would be great! I usually snack on carrots. I'd love to try the mango fig bars because I've never seen this flavor! Lately my snacking is raw veggies and ranch dip, but my cravings are always for chocolate. I usually snack on cheese crackers such as goldfish or Cheez-its. I would love to try the vanilla fig bar because I love vanilla! It's between the lemon (my favorite flavor of anything) and the blueberry (2nd favorite) because you wouldn't expect to find either flavor with fig. I am intrigued, can't wait to try them. Forgot to answer second part of the question! I tend to snack on pistachios, almonds, yogurt, or any sort of nutrition bars. Unfortunately I usually snack on Starburst but I'd like to try the whole wheat fig bar. we munch on a lot of nuts and seeds and dried fruits or pretzels but id love to try the vanilla fig bar! I would like the lemon. I think my kids would like the peach apricot. I really want to try the mango flavor, I just love mango! I usually have fresh veggies and hummus for a snack. I'd love to try the strawberry. I usually snack on cheese and fruit. I would love to try the Blueberry Fig bar. Thank you. I'd love to try the lemon! I usually snack on cookies. It's a tie between the lemon & the blueberry. The mango looks good too. I usually snack on pistachios, fruit, and cheese & crackers. 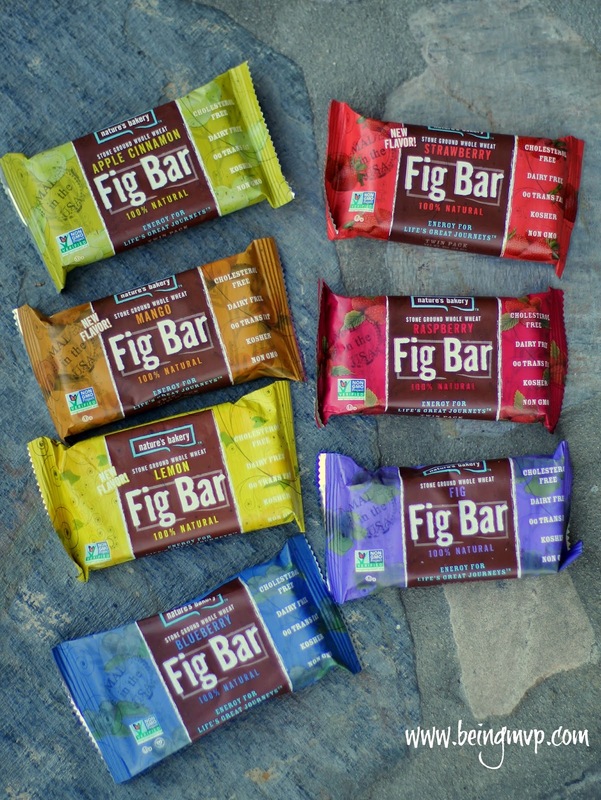 I would most like to try the Strawberry Fig Bar and I usually snack on Protein Bars.